Is it Time for Your Small Business to Switch to a POS System? Being a small business owner is a positive achievement. Owning a growing business is even more of an achievement. Unfortunately this may also come with added stress. Knowing your inventory, balancing your books and recording your sales will only increase in difficulty the better your business does. For those with archaic cash registers and volumes of ledgers, noting all your sales may prove to be a hassle. If your business is growing, is now the right time to switch to a POS system? What would the advantages be? If your business holds inventory, you will need to track it. You can easily send an employee to the back to count each item every time you need to know what you have, but that could prove a costly misuse of staffing. You need a way to automate your inventory tracking. 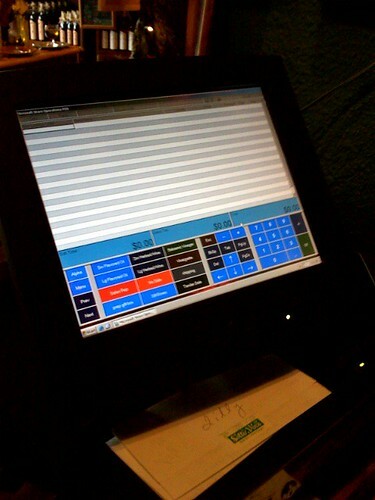 Any POS system worth its price will automatically track and adjust your inventory. Each item you sell will update your inventory stored in the POS system. This will allow you to easily pull up your inventory and let your customer know if you have it in stock. Additionally you can track what you need when it is time to order more stock without manually counting your storage shelves. This is a valuable time saver that gives you an accurate tally of your products. For small businesses, there are many different ways to track your sales. You can lock the door at night and print receipts from each register, enter the sales into your ledger, and spend hours each night tallying up the sales for the day. Or you can have the computer do it for you. A good POS system will track sales instantly and offer you an end of the day, week, month, or even end of the year report. It will not only show the total sales, but also any returns or voided sales. You can get an itemized list of which products were sold and which products aren’t selling very well. These are important figures when you are determining your next product order or if you are deciding on what to put on sale. In the beginning of your business, you were probably there every day and every hour you were open. This is normal. However, as your business grows and you add employees, you want to start taking time away. If you still have to track inventory and sales manually, you will never escape the confines of your business. The POS system allows business owners to step out of the office and back into their personal lives. You can easily track your sales and inventory without even being there. Some POS systems even allow remote access with added security to allow business owners to check in from home if they feel inclined. This is allowing business owners to return to their families and enjoy the perks of working for themselves. You have spent your time and money building your business. You have thought through every detail of how you want your business to be run, the reputation you want to uphold and the freedom of coming and going as you please. Now you just need to know who is doing what when you are not there. The point of sales system gives accountability to your employees. You can see who is accessing the terminal, who is making sales, who is lacking in sales, who is clocked in and who is taking extended lunches or breaks. You can even see if your employees are giving excessive discounts. In many businesses the POS system is the first indicator of employee theft. Owning and running your small business can at times be a hassle. However, with the right tools that can adapt to your business, you can find the freedom that comes with working for yourself. Take a look at your current day to day activities and see if a POS system would benefit your business. Tony Alvarez is a small business blogger. If your small business can benefit from a POS system, compare various features offered, such as those offered by EVO Merchant Services to determine your business needs.